1. In a small pan, melt butter and minced garlic over medium heat. 2. Sprinkle both sides of each steak with salt and pepper. 3. Grill steaks 4 to 5 minutes per side on the grill. 4. 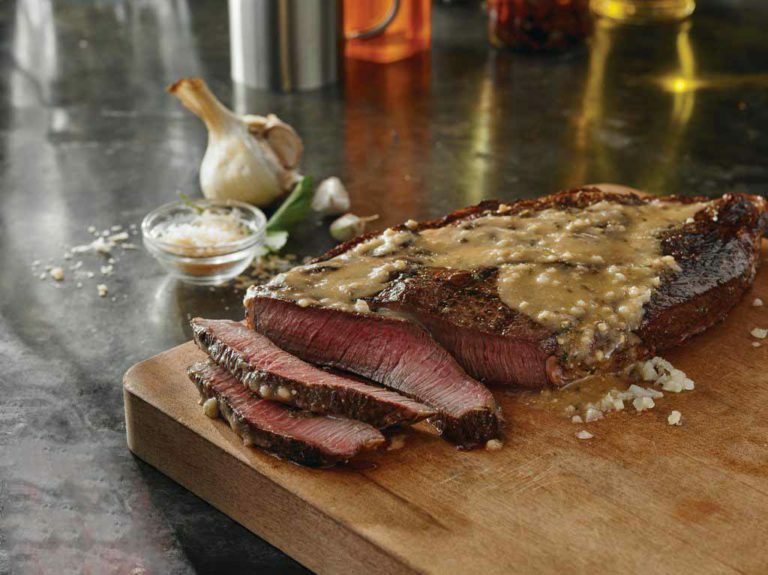 Brush steaks with garlic butter and serve.